Scientists from Indonesia’s National Institute of Sciences have advised the Government of Indonesia to declare manta protection throughout the country. Our dedicated MantaWatch community have provided critical data, and played an important role in this landmark achievement. In their report, released in January 2013, LIPI scientists highlighted the serious threat of extinction facing manta rays in Indonesia. Natural populations have declined by as much as 57 percent over the last 10 years. Overfishing at rates above sustainable harvest limits, and growing market demand for manta ray products are the causes. LIPI’s experts estimate that Indonesia’s manta ray population totals 17,000 individuals, but recognize that this approximation does not account for regional migrations and may be overly optimistic. With as many as 1,300 mantas caught by fishermen within the Nusa Tenggara islands alone, the report advises urgent action. 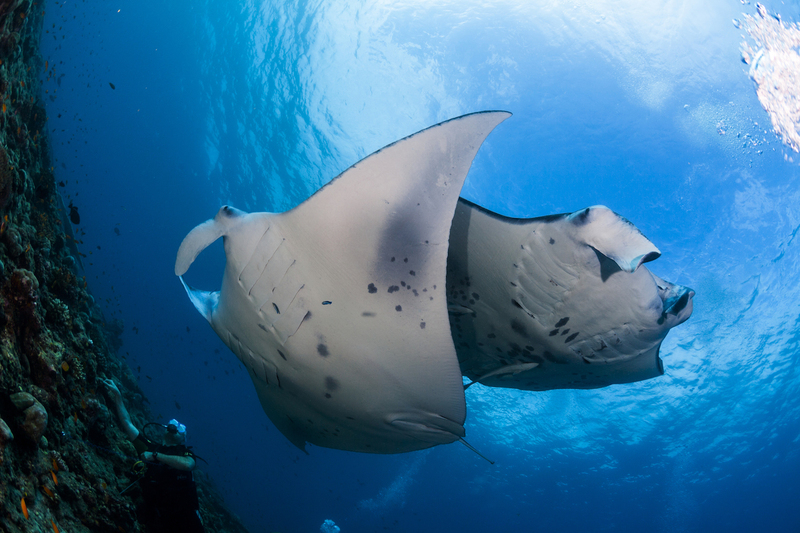 LIPI recommends that manta rays be designated a fully protected species throughout Indonesia. Their report advises the Government of Indonesia to declare a total ban on the capture of manta rays throughout Indonesian waters, a total ban on both domestic and export manta ray trade, and to require manta rays captured accidentally in fishing gears to be released. With LIPI’s scientific recommendations urging urgent action, we hope that Indonesia’s Ministry of Marine Affairs and Fisheries will soon declare manta protection as they so desperately deserve. For an English translation of this announcement from Indonesia’s Ministry of Marine Affairs and Fisheries, click here.